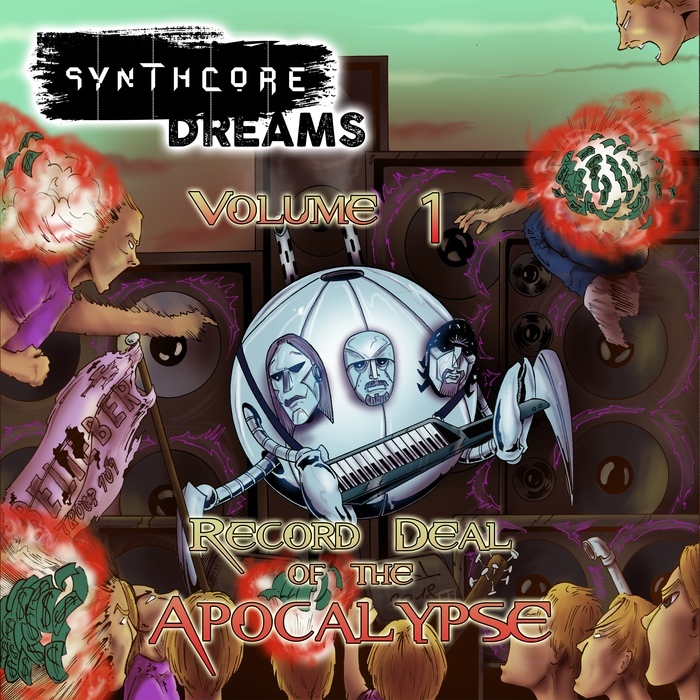 Synthcore Dreams Compilation and Comic Book Volume One will feature 15 tracks of Industrial Rock and Electro. Distortion Productions is pleased to announce a new partnership with Creamy Rat Sudios for the new Synthcore Dreams Compilation and Comic Book. Volume One will feature 15 tracks of Industrial Rock and Electro from the legendary acts Chemlab, Hate Dept, Leaether Strip, 16 Volt, Skrew, SMP and Society Burning accompanied by newcomers Centhron, Red Lokust and Microwaved among others. This will be a CD/Comic Book combo pack. The comic will be a full length issue. Synthcore Dreams is a comic book that will spread the gospel of industrial music. All profits will benefit Darkest Before Dawn, a suicide prevention charity. It features a tribute to the late great Jamie Duffy and an awesome lineup of participating bands. Synthcore Dreams is a wild post apocalyptic story with lots of action, comedy, tragedy and a little bit of romance...plus a large helping of craziness!